Ten University of Lynchburg students are exploring cities, villages, and the rainforest in Brazil to learn more about the challenges posed by construction and development. Along the way, they are providing service to people in Brazil. 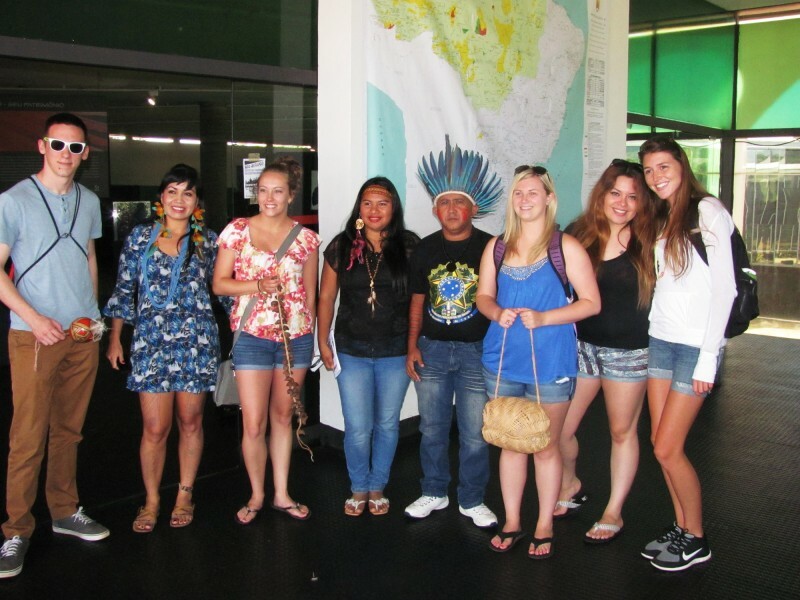 While in Brazil, LC students met with indigenous representatives at the Brasilia Memorial Museum of the Indian People. Dr. Marek Payerhin, LC political science professor, is leading the course “Battle for the Amazon.” The group left for Brazil May 23 and will return June 5. “The class is designed to explore the challenges that development brings to Brazil, especially its social and environmental aspects,” Dr. Payerhin said via e-mail from Brasilia, the capital city. The students began their trip by meeting with officials from a variety of government and nonprofit organizations, such as the Brazil Ministry of the Environment, National Agency for the Indians, and the Brazilian Institute of Environment and Renewable Natural Resources. Their next stop is the Amazon region, where they will meet with groups that practice sustainable development in the rainforest. “We will also engage in service learning with a sustainable cooperative, planting trees in an environmentally-conscious way,” Dr. Payerhin said. The trip also will include a two-day boat trip, during which the group will sleep on board in hammocks, to visit isolated riverside communities to learn how development impacts life there. The group will then spend several days in Rio de Janeiro, where the students will help teach English and deliver educational supplies and sports equipment they have collected. 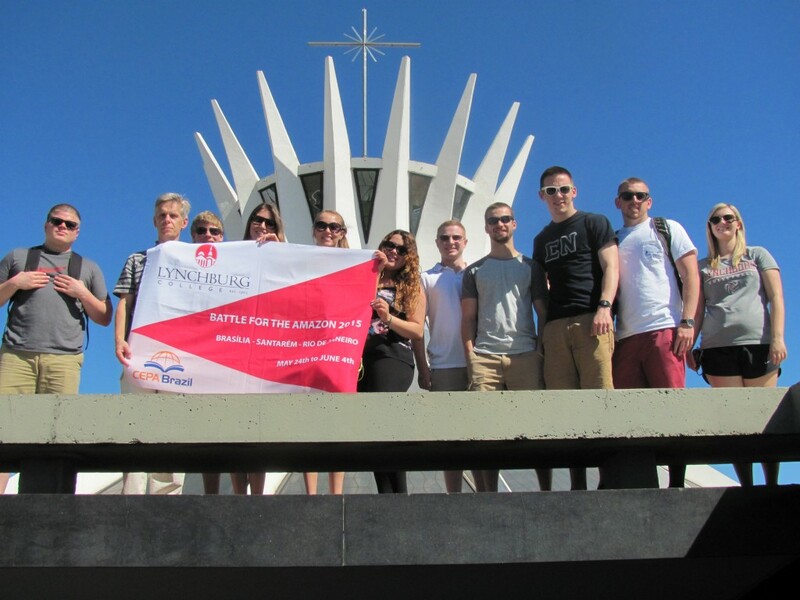 Brazil is one of several locations where LC faculty have taken students this spring for study abroad classes. Other groups are in England, Uganda, Canada, South Africa, and Uganda. For more photos from the journey, see the LC Facebook page.